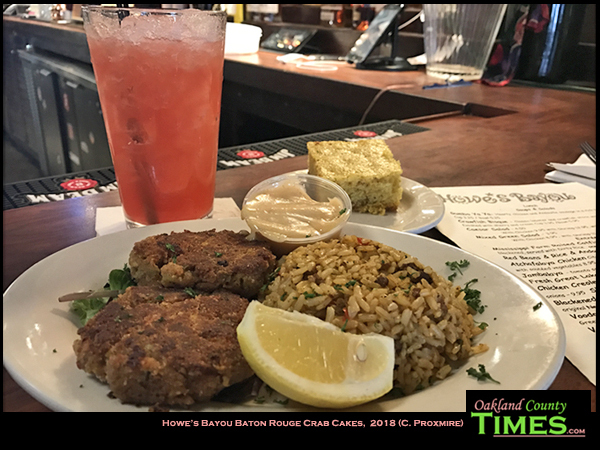 Ferndale, MI – One of my favorite places to go to eat and write is Howe’s Bayou at 22848 Woodward Ave in Downtown Ferndale. 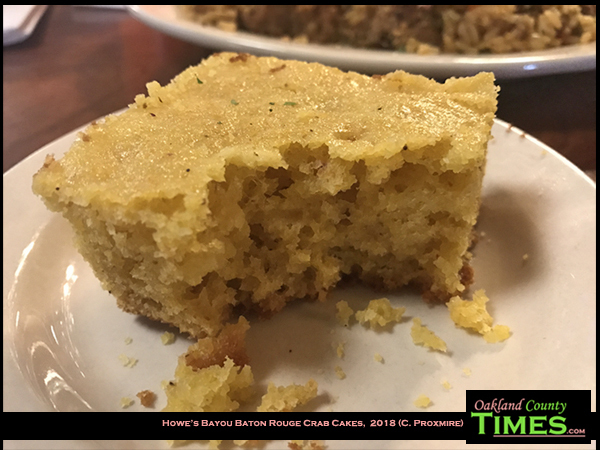 They’ve been a sponsor of Oakland County Times since back when it was Ferndale 115 nine years ago, and it’s been great to get advice from the owners Michael and Patty Hennes, as well as to expand my palate. 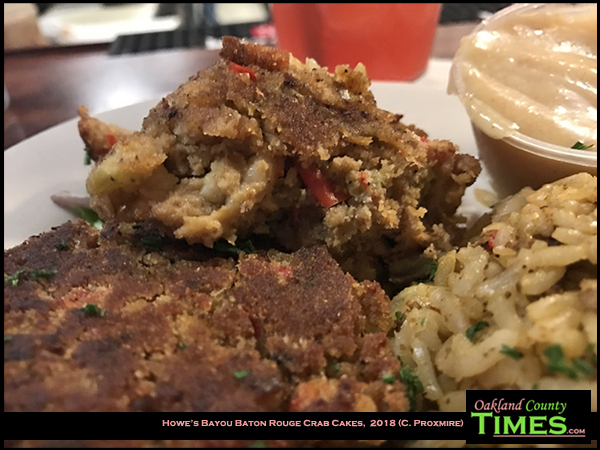 Though I often go for their hot green salad or po’boy sandwiches, I recently decided to try their Baton Rouge Crawfish Cakes. 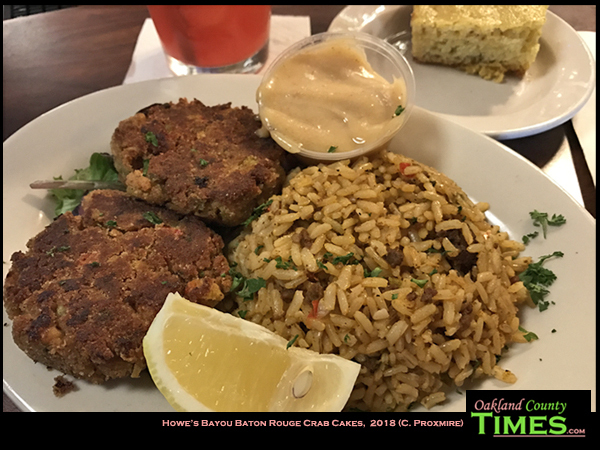 The two tasty patties are served with dirty rice and roasted garlic honey sauce , with a side of their signature corn bread. It was a filling and delicious meal, in a place that feels very much like home. Check them out for lunch and for dinner. The menu and more information is available at www.HowesBayouFerndale.net. For more Reporter Food columns CLICK HERE.